2019-03-01 0 comments on "sWeather updated to v1.8.2"
"Feels like" temps of zero degrees would display as N/A. Go here to download sWeather. 2019-02-11 0 comments on "sWeather updated to v1.8.1"
Tray icon options have changed. 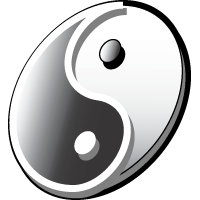 You can now display either or both icons. Added a small delay when updating location time. On a delayed startup, tray icon was showing blank instead of the N/A icon. 2019-01-31 0 comments on "sWeather updated to v1.8.0"
Reduced the number of times the TimezoneDB API was queried. 2019-01-28 0 comments on "sWeather updated to v1.7.9"
2019-01-26 0 comments on "sWeather updated to v1.7.8"
New metric windspeed option to use meters per second instead of the kilometers per hour default. Rearranged the Options dialog a bit. Hopefully made the menu and button icons work properly in both Windows XP and Windows 7+. 32-bit colour must be enabled in your Windows display options. Fixed the titlebar not always displaying the time. 2019-01-23 0 comments on "sWeather updated to v1.7.7 & sTray updated to v1.0.2"
Fixed speed issue when getting weather data. It was my fault and not the new API. Fixed 5 & 10 day forecast data not showing for some users. "Minimize to tray" option is back. I must have erroneously deleted it in the last build. Pressure reading wasn't correct for imperial values. Handled situations where no printers exist or the print spooler service is inactive. Go here to download sTray. 2019-01-22 0 comments on "SCURLed v1.0.0 released, Spews v1.1.3 update, sTray v1.0.1 update, and sWeather v1.7.6 update"
For NANY 2019 this year, I released a new app called SCURLed which lets you easily edit Windows .LNK and .URL files. Check out all the other entries on the NANY 2019 forum page. Go here to download SCURLed. Added option to remember the image list position between sessions. Go here to download Spews. Added a printers menu to easily set your default printer. Added "Turn monitor off" option. Added option to open the menu with a left-click on the tray icon. Added ability to configure which items are in the menu and their order. Finally, sWeather. On January 3rd, 2019, Yahoo! retired the API which sWeather used, so sWeather has been broken for a few weeks. I apologise to all the sWeather users out there — I had not received any advance warning of this. something else. Whatever...it works, so please be patient with it and apologies for any inconvenience. Hovering over the "Full forecast", "Radar", and "Powered by Yahoo!" links shows their URL in the statusbar. Right-clicking the "Full forecast", "Radar", and "Powered by Yahoo!" links gives the option of copying the URL to the clipboard. Added "Minimize to tray" option. Added menu option to display raw weather data. Added tooltips to statusbar icons. Option to break location menu into multiple columns. Eliminated dependencies on resources.dll and temp directory. Right-click clipboard context menu was broken. Fixed an extra line in one of the tray tooltips. Though I don’t anticipate any issues, please make a backup of your sWeather folder before applying the update. 2018-10-11 0 comments on "MPCPLed v1.0.2 released"
Files open via the File > Open method weren't parsed properly. Go to the MPCPLed page to download the new version. 2018-07-06 0 comments on "Spews v1.1.2 released"
Added Start and Stop entries to tray menu. Added "Copy image to clipboard" entry to the tray menu. Added "Copy image path to clipboard" and "Copy image to clipboard" entries to the File menu of the main window. Fixed a file order bug where wallpapers would start with the second in the list instead of the first. 2018-05-08 0 comments on "Spews v.1.1.1 released"
Changing the Wallpaper Position and Fill Color options refreshes the current wallpaper. Added option to not randomize the image list. "Fill (by width)" has been renamed to "Fill" and should now work properly with very wide images. 2018-05-05 0 comments on "Spews v1.1.0 released"
Added new "Fill (by width)" wallpaper position. Added a transparency slider to adjust the transparency of the Spews window. 2018-03-26 0 comments on "sWeather v1.7.3 released"
Added an option to delay a number of seconds before the intial request for weather data is made and included a new tray temperature theme made by J. Agam. 2018-03-08 0 comments on "MPH (Media Player Hotkeys) v1.1.5 released"
This release updates support for the new Spotify client (version 1.0.75.483.g7ff4a0dc). 2018-02-18 0 comments on "sWeather v1.7.2 released"
2018-02-18 0 comments on "sWeather v1.7.1 released"
Recompiled as 1.7.1 since the last version was mistakenly compiled as v1.7.8. 2018-02-14 0 comments on "sWeather v1.7.0 released"
In this version I switched up the tray icon defaults. In all previous versions, the weather conditions icon was always present and you could enable a second icon which showed the temperature. I’ve reversed that in this version. Now, the temperature icon is always present and you can enable the secondary weather condition icon. I probably should have done it this way from the start. 2018-01-26 0 comments on "WHAT v1.0.2 released"
Added per hotkey "Always on Top" option. Added per hotkey "Minimize if active" option. Improved the window activation code. Windows in the system tray should now have a much better chance of being activated. 2018-01-24 0 comments on "NANY 2018 and new DonationCoder CMS/Server"
SubAHK, a Subsonic desktop client. I’ve run my own personal Subsonic server for many years and make use of several different clients depending on platform (Android, Windows, etc.). However, none have the sort of easy playlist manipulation I want, so I started writing SubAHK. It’s not feature complete at this time but still worth a look if you run, or have access to, a Subsonic server. 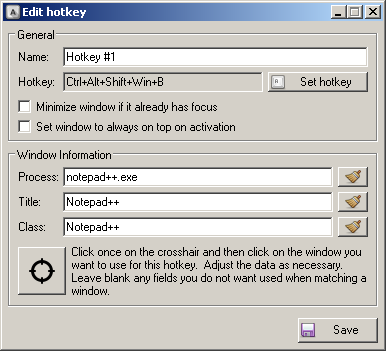 WHAT (Window Hotkey Activator Tool) is tiny program that lets you assign hotkeys to activate/focus windows. 2017-01-03 0 comments on "NANY 2017"
Drive Letters Tool: Change the way drive letters are displayed in Windows Explorer and other Windows dialogs. sLyrics: Lyric app using the ChartLyrics API from the ChartLyrics website. sPinger: Ping multiple IP addresses and hostnames with fun icon themes. TrayLang: Displays a tray icon indicating the currently selected keyboard layout. 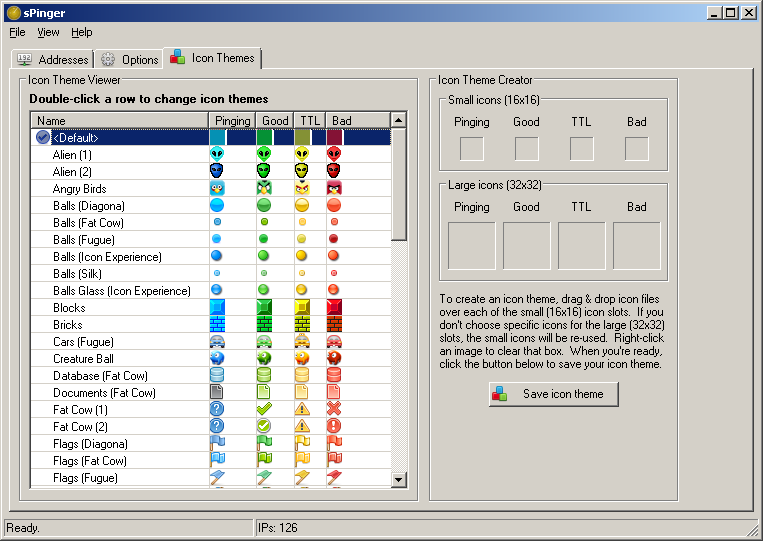 Lots of icon themes included. 2016-05-03 0 comments on "Squeaky Mouse released"
New, by request, release today called Squeaky Mouse which allows you to assign WAV files to mouse buttons. If you use the Windows ClickLock feature, you can assign a WAV file to that as well. Go here to download. 2016-03-31 0 comments on "sWeather updates"
If you’re an sWeather user, you probably noticed that it stopped working sometime last week. This was due to changes in the Yahoo! Weather API but, over the past several days, I’ve updated sWeather to work with the new API (in addition to working around a few bugs with the new API). You can find the latest version on the sWeather page. 2015-02-10 0 comments on "NANY 2015 Entry and other new software"
My NANY 2015 entry this year is called Splat which is short for Simple Program Launching and Termination. 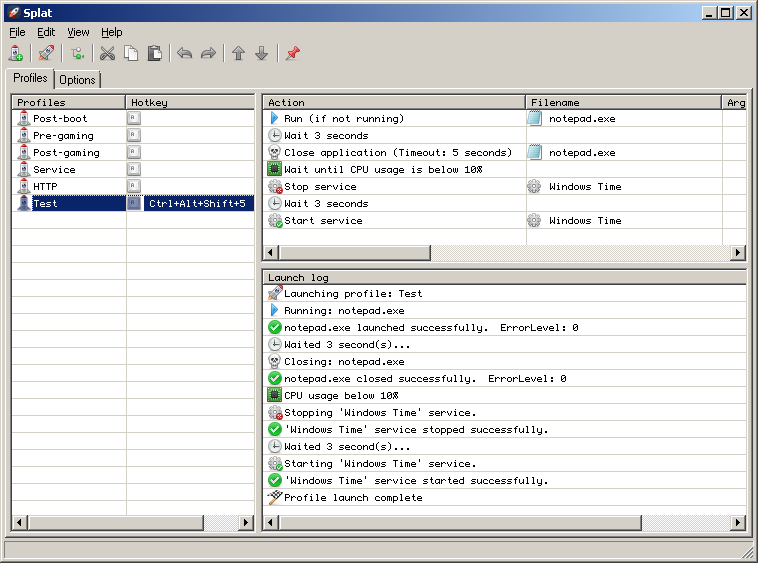 It’s sort of hard to describe but, at its core, it’s a profile-based application launching tool. Take a look at the screenshot to get a better idea. Simple checklist app. Just rows of text entries and a checkbox for each. No B.S., i.e., no categories, no sub-tasks, no time tracking, and no other crazy wizzbang features. Small application that lists aspect ratios for images. 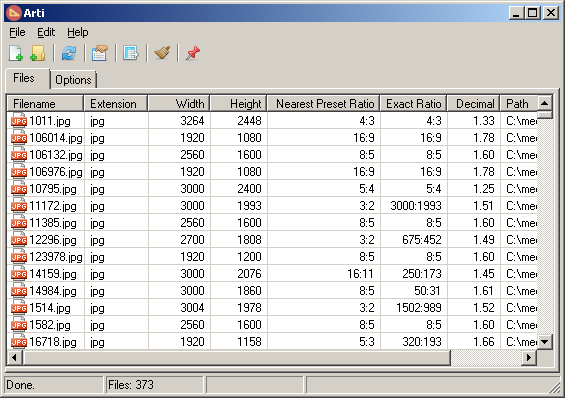 Exact ratios are listed in addition to a nearest match ratio based on a configurable preset list. 2014-01-04 0 comments on "NANY 2014 releases"
Convert .URL files to .LNK files. 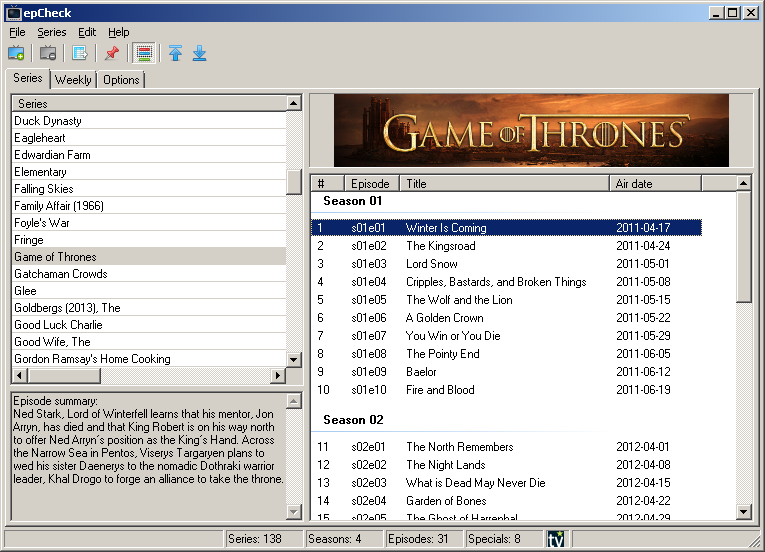 Easily track and view TV series data. Wallpaper switcher with a twist. Create a wallpaper using a separate image per monitor (for mutlitple monitor setups). 2013-12-08 0 comments on "Updates since April"
Been a while since a post, eh? There have been lots of updates in that time, though. Also, I have (at least) two new apps coming out for the N.A.N.Y. 2014 promotion at DonationCoder. Stay tuned. 2013-04-14 0 comments on "New app, sStockQuote, released plus many updates to other apps"
sStockQuote as been released. 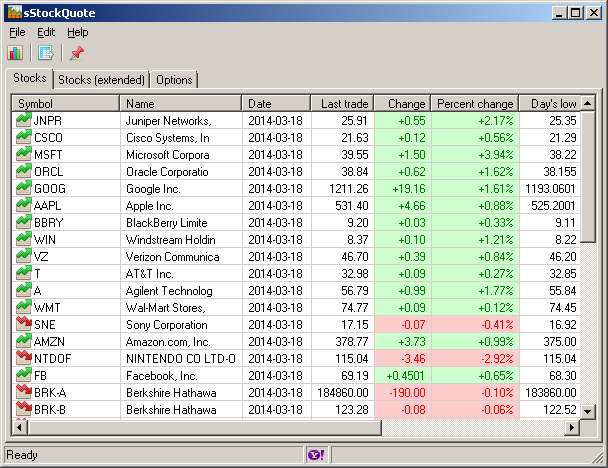 This is a very simple app that allows you see, at a glance, how your chosen stocks are doing. The stock quote data is provided by Yahoo! Finance. 2012-12-09 0 comments on "Updates"
2012-12-09 0 comments on "sImgurUploader released"
Easily upload an image to Imgur and have its URL automatically copied to your clipboard. Check it out here. 2012-08-12 0 comments on "sWeather updated"
It’s been a long time coming, but sWeather now features a 5-day forecast and integrated WOEID searching. Check out the new version on the sWeather page. 2012-07-12 0 comments on "Comic Book Archive Creator released"
Quickly create Comic Book Archive files from PDF and image files. Check it out here. 2012-07-12 0 comments on "MPH updated"
MPH (Media Player Hotkeys) has been updated with Spotify support. 2012-05-12 0 comments on "Updates"
2012-03-25 0 comments on "Text 2 Folders updated"
Text 2 Folders has received a long overdue update. 2012-03-21 0 comments on "sCheckbook released"
I released a simple checkbook register application called sCheckbook. Birthdays and Files 2 Folder were updated as well. 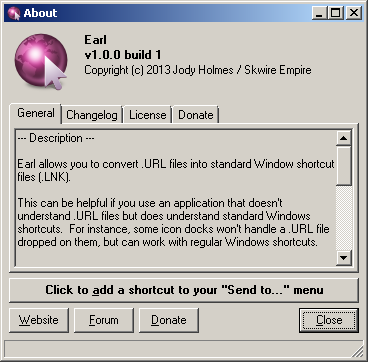 2012-03-06 0 comments on "IE Proxy Toggle released & Snap DB updated"
I’ve released a simple tray-based application called IE Proxy Toggle that allows you to easily switch your Internet Explorer proxy on and off. Snap DB has been updated to v1.3.7 and now includes functionality that allows you to export the data view directly to external scripts or executables. See the included help.txt file for more information. 2012-02-03 0 comments on "Updates"
PlayTime updated to v1.2.8 – Several new bits added. Frameless updated to v1.0.7 – Basic folder navigation added. Animated GIF support added. Tags 2 Folders updated to v1.0.6 – Small bugfix. 2012-01-27 0 comments on "Updates"
PlayTime updated to v1.2.3 – Unicode support added. 2012-01-21 0 comments on "Sensatronics Tray Tool released and more"
Sensatronics Tray Tool has been released. This program offers a simple, tray-based monitoring tool for the Sensatronics model E4 and U16 temperature sensors. Snap DB updated to v1.3.6. A new “web search this cell” feature has been added. I created screencasts for MPH, PDFInfoGUI and RecursiView. You can find the links for them on each program’s page. 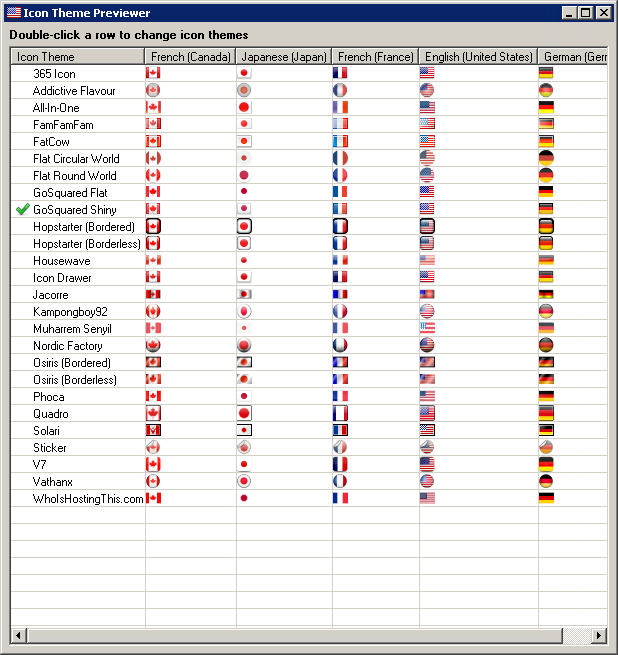 2011-12-23 0 comments on "Updates"
MPH – v1.0.2 – AIMP3 player now supported. PDFInfoGUI – v1.0.3 – Info box, column order/widths now saved. 2011-12-17 0 comments on "NANY 2012 Releases"
2011-12-13 0 comments on "Looper updated to v1.0.4"
Seekbar and Unicode support added to Looper. 2011-10-21 0 comments on "New Releases"
Lucidity – Neat translucent effect on your entire desktop. sWavPlayer – Commandline WAV file player. sPlaylistMaker – Recursively create .m3u playlist files.